Get familiar with Naviance Student! It is now activated for all grade levels. Activate eDocs: The Common Application integration is back online! Learn about eDocs Teacher Desk which is now available! Attend an “In the Know” Webinar. Find out more here. Learn about the new staff login experience and create your new login. Complete the Account cleanup checklist before students come back. Start using eDocs Teacher Desk for submissions. Review the new CCLR Framework and put it into practice! 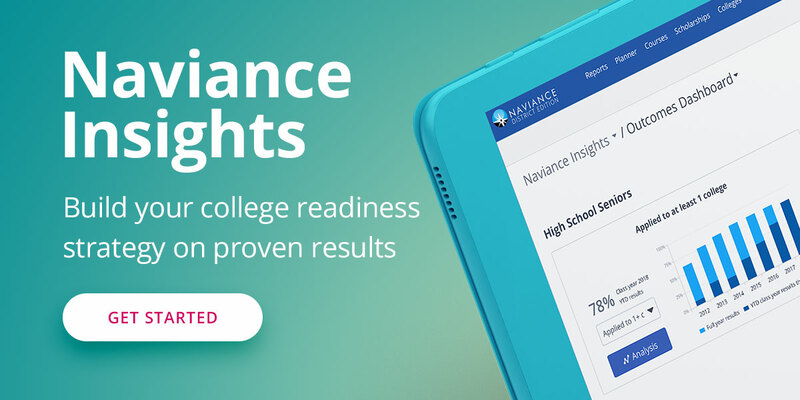 Get familiar with Naviance Insights and set your college outcome goals for the school year. Don’t forget to opt-in to Common Application integration. This is the last date for opting in! Plan in advance for the first Early Action deadline for college admissions. Peak usage of eDocs: Prepare your documents and submit them early!